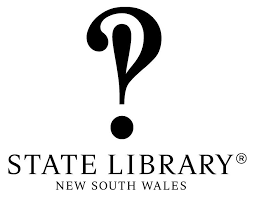 The State Library of NSW (SLNSW) has opened a new purpose-built children’s learning centre, reports the Sydney Morning Herald. Facilitated by a $1 million donation to SLNSW, the John B Fairfax Learning Centre is situated in a reconfigured, soundproofed wing next to the Mitchell Library, and seeks to make the library more accessible to families and school-aged children. The new learning centre also displays historical objects from the library’s collection that have been brought out of storage, including historic paintings, drawings, photographs, manuscripts, books and maps. Manager of learning services Megan Perry added that children learn best when they are ‘absolutely immersed in history and literature’. ‘They go away with a better understanding of the period. Learning happens in groups, engaging with people when it’s happy and fun,’ said Perry. Vallance also announced plans to build SLNSW’s first dedicated children’s library in 2019. ‘Next year in the Macquarie Street building we are going to make this the go-to place for children’s books. If you’ve got a child aged between one and 15 this will be the place to come; you’ll be able to find the best of children’s writing and literature for children. The emphasis is on learning for pleasure,’ said Vallance.